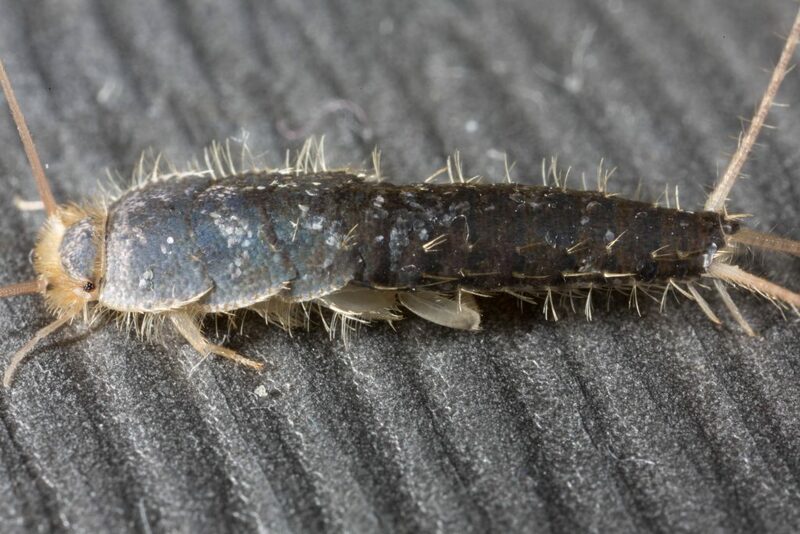 During the winter months, it is not unusual for silverfish to find their way into structures through rotted holes, cracks that have developed, frames that have broken, and other gaps. In recent years, the infestations of silverfish have become increasingly common during the winter months. Silverfish are flat insects that have a body that resembles a carrot, only it is silver in color and includes scales. Additionally, at the end of the body, they have a total of three different appendages that resemble tails. These insects thrive in regions that have a high level of humidity and they are often living in close proximity to their food source. Now that winter is upon us, it is imperative that you learn as much as you can about silverfish infestations and the most effective process in eliminating these infestations. Silverfish reside in a multitude of locations throughout structures. In a home, they may be discovered in areas such as attics, garages, bedrooms, basements, and even living rooms. In a commercial structure, it is not uncommon to observe these insects in offices, stored boxes, and in storerooms. These insects feed on a multitude of items. The most common being various types of paper, glue, wall paper, cardboard, books, and even other insects. Once an infestation occurs, it may be challenging to handle the infestation on your own. Most people have to turn to a professional pest control company in order to address and completely eliminate the infestation. All Pest Exterminating is highly experienced in handling winter silverfish infestations. You should stop storing mail, newspapers, and magazines as this attracts silverfish. If you must store clothing during the seasons, make sure it is placed in bins that completely seal. If you have cardboard boxes, you should get rid of them immediately. When storing food, make certain that you pack it in tight containers. You should sweep, mop, and vacuum your home on a regular basis. This will help lift any types of debris – such as food crumbs – and it will also help in lifting any silverfish eggs that may be present in your home. You should use a dehumidifier in order to eliminate moisture in the air of the structure that you are attempting to treat.